As often stated, perfect style is about attention to detail. The belt you wear with your suits is as important to your suit as its pattern or the shoes you choose to wear with it. But still, belts are often reduced to, “that strap of leather meant to hold up your trousers”. 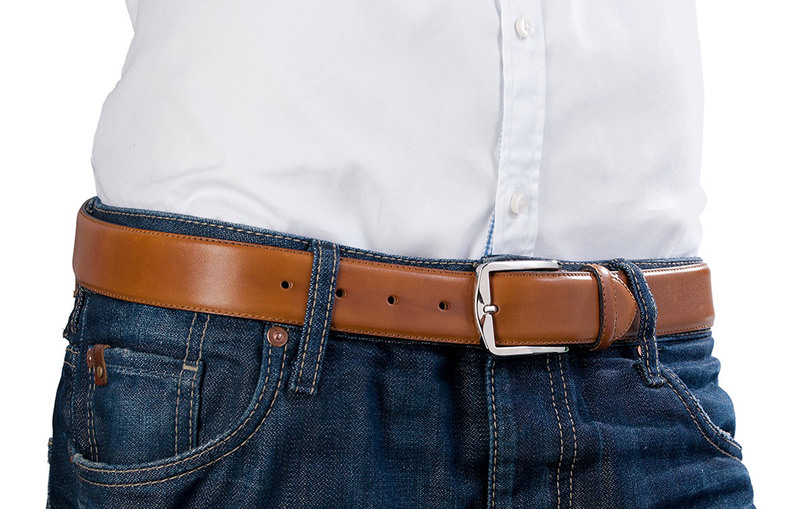 Our men’s belt though is made of the same high-quality leather as our men’s footwear. 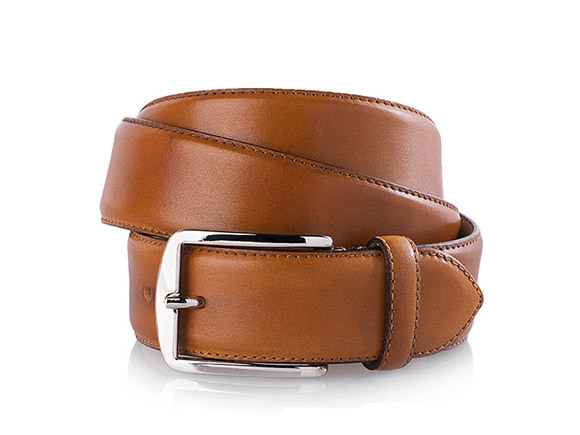 Our high quality full-grain leather belt for men in cognac is welted from two leather layers and equipped with a silver buckle. 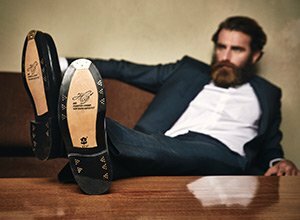 The outside leather is fully dyed French calf leather, which is also used for our Goodyear-welted shoes. The belt’s inner side is made from uncoloured calf leather. Both leather parts are welted together with a tight seam in the same colour. A silver buckle closes the cognac leather belt, which has a typical five holes. The buckle edges are rounded and nickel-free as well, meaning our men’s belt is comfortable even for allergy sufferers. The belt is easily tightened: Simply open the buckle, pull the leather through and close as required for your choice of fit. 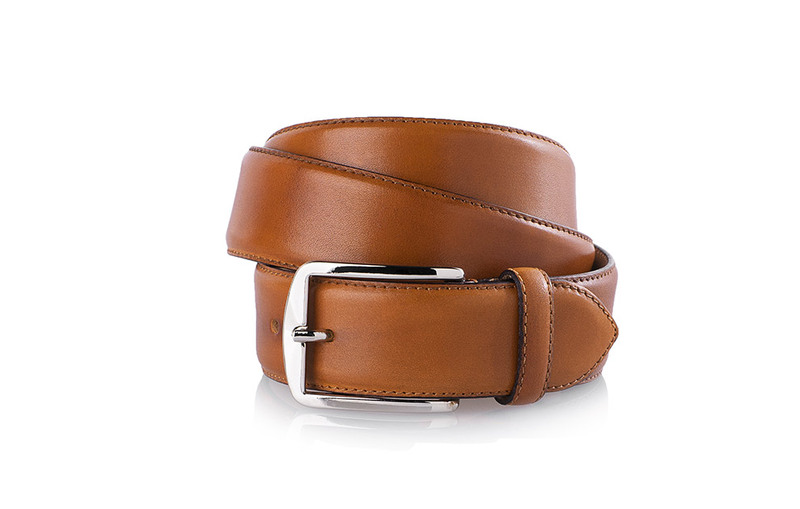 With the elegant buckle and a width of 35 millimetres, this belt will match almost any suit perfectly. 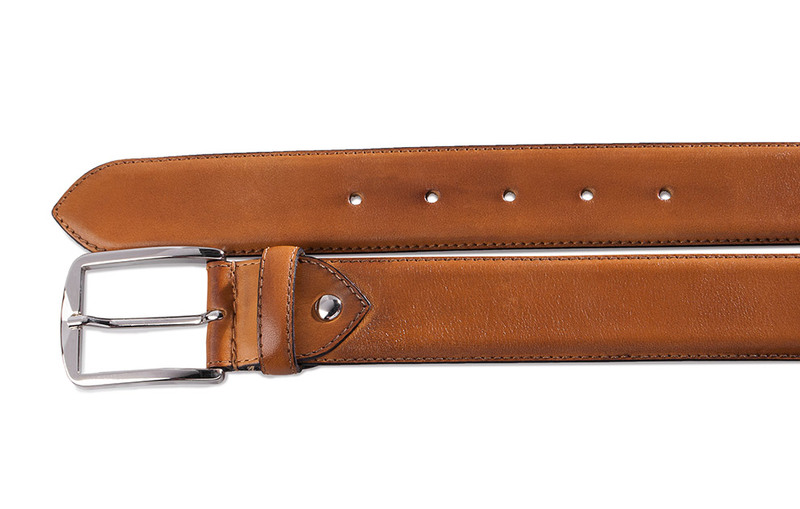 Our cognac leather belt is available in nine different lengths. Each is adapted to the right waist measurement for your trousers and measured from the buckle’s outside edge to the middle belt-hole. 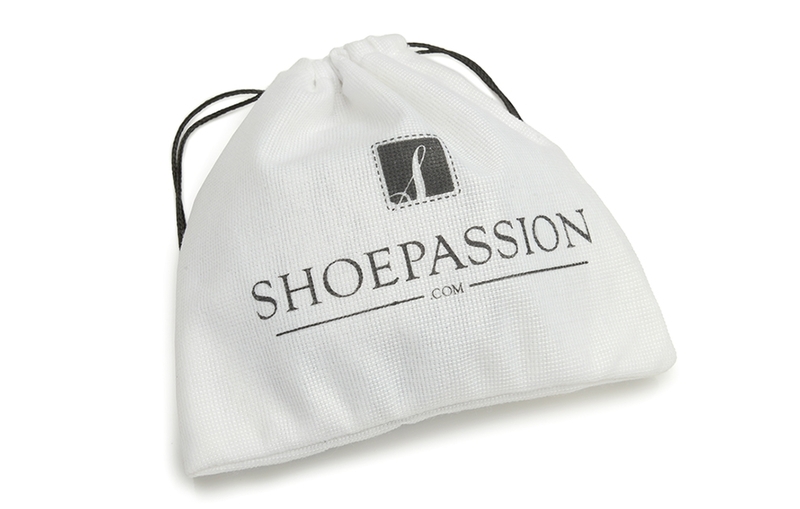 Our cognac men’s belt is sent in an elegantly white cloth bag with the elegant SHOEPASSION.com logo, protected from soiling and scratching. The men’s belt in cognac matches the SHOEPASSION.com cognac men’s shoes.